Measuring ingredients accurately is imperative to the success or failure of your recipe. The best chefs know that great cooking requires measuring by weight, not volume. 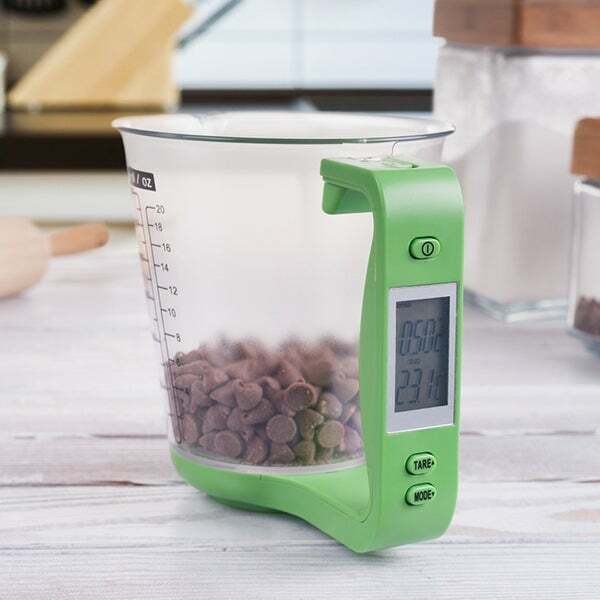 Enter the Digital Detachable Measuring Cup. 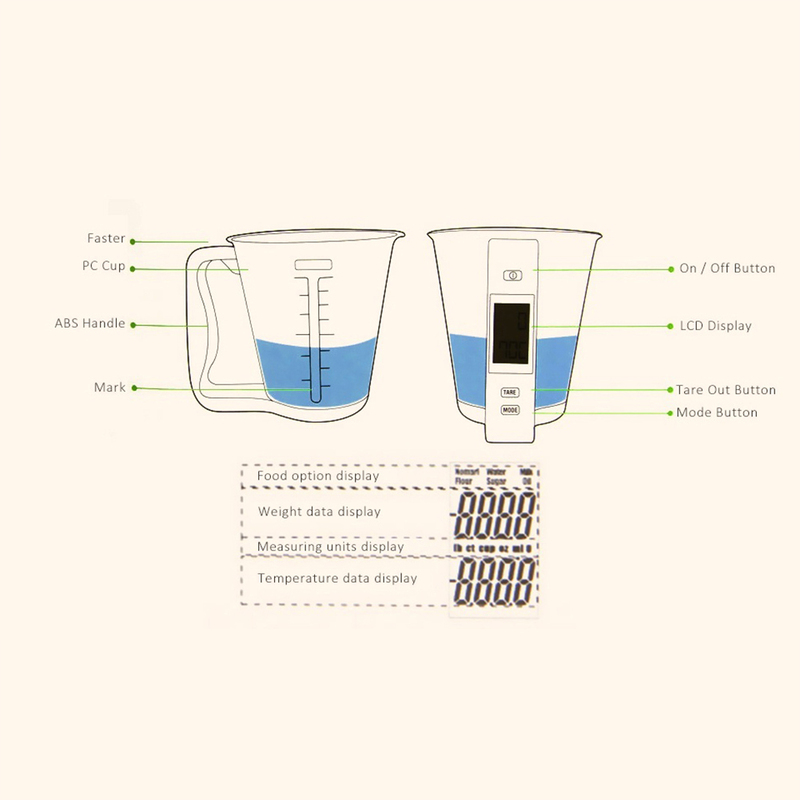 An easy-to-read LCD screen has been integrated into the cup's handle and displays the weight of its contents. Accurate to within an eighth of an ounce, Digital Detachable Measuring Cup can easily switch between six different units of measurement. With only three buttons, it's easy to operate, but still incredibly powerful. Use the tare function to weigh multiple ingredients without ever emptying the cup. Switch between flour, sugar, milk, water, and oil modes, and the Digital Measuring Cup and Scale automatically converts the weight to volume. Great concept combining multi-functions in one product. Doing well and accurately what it says it does. It is also a wonderful gift to beginning and experienced bakers as it is an incredible time saver. This product is a must have for every kitchen. I love my new digital measuring cup! It�s easy to read, easy to clean, and accurate. I�m really glad I found this treasure! Just got it today and now I'm wondering why I didn't buy one of these sooner. It measures everything any way you need to measure. I checked the accuracy against measuring cups and scales I already own. The first thing I measured was water. I filled a measuring cup to 1 and 3/4 and then poured it in this new one. Display showed 1 3/4 cup. It's spot on! The capacity is great and you can take the cup out of the scale to clean it. BEST PRODUCT EVER! Is easy to use, easy to wash and the most amazing feature is that you have all the measures available in just ONE product! IT IS SO PERFECT!!! I highly recommend it. This scale is wonderful. Weigh and pour. It couldn�t be easier.